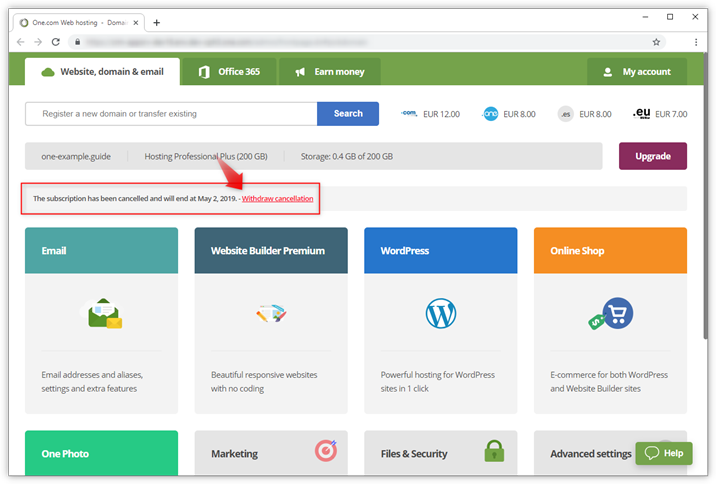 You can cancel your webhosting subscription via a cancellation link. 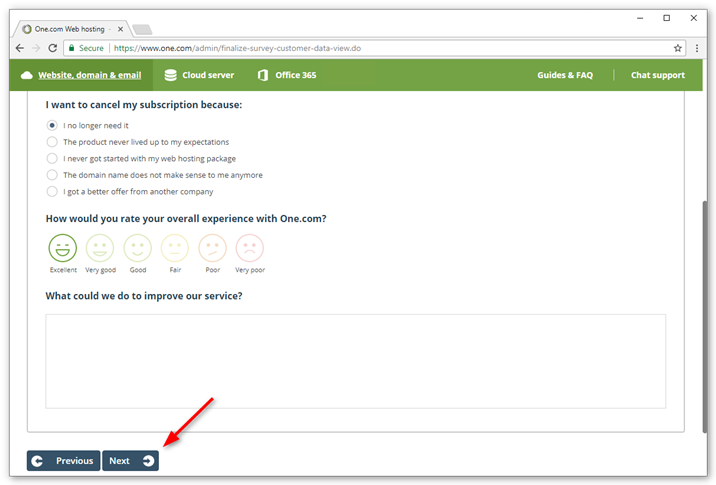 The link will be sent to your contact email address, you can request it from the control panel under Subscription. Tip: If you don't have access to your contact email address, you can fill out and sign our cancellation pdf-form to confirm your cancellation. Below we guide you step-by-step through the online cancellation process. To start the cancellation procedure you need a cancellation link. You can request it from your control panel. Click on My account in the top-right corner, and then Subscription. 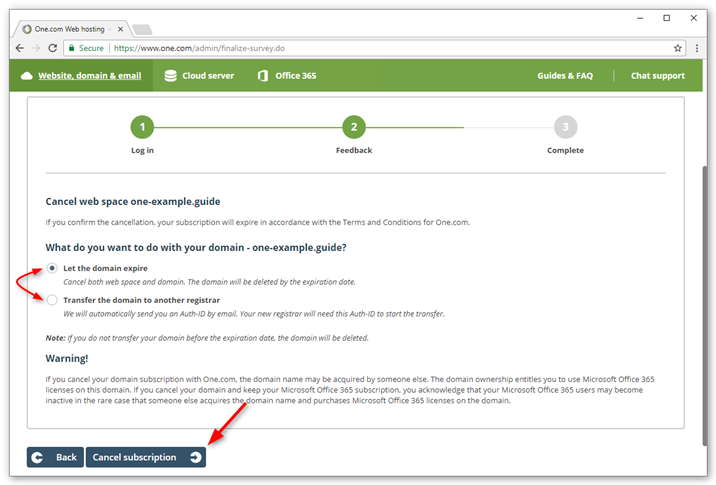 Click on the domain and subscription that you want to cancel. Scroll all the way down and click the link called Cancel subscription. Next, click Send cancellation email. 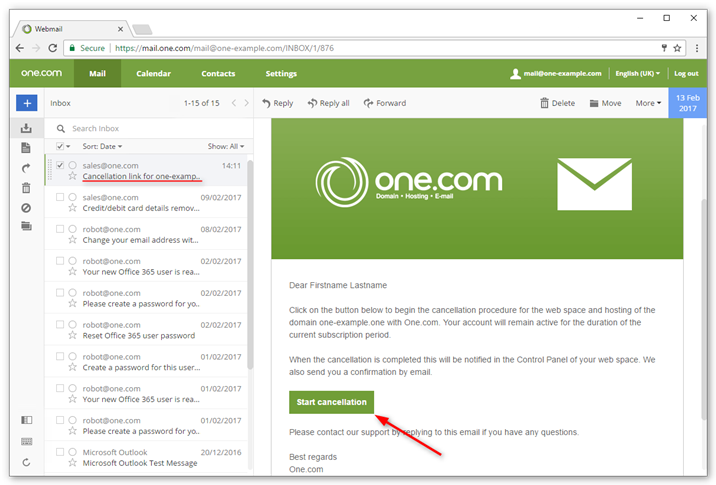 An email with a cancellation link will now be sent to your contact email address. If you don't receive the mail, try contacting our chat support and ask them to send it. Note: You need to settle any unpaid invoices on your subscription, before you can request the cancellation link. Not sure why you still need to pay them? Read our guide for more information. In your inbox, open the email with the cancellation link and click Start cancellation. Type in your control panel password and click Next to start the cancellation procedure. We would love to know what you think about us and our products, so we can keep improving our services. Select whether you want to expire the domain or intend to transfer it to another provider. If you want to transfer it to another provider we will send you an Auth ID. Click Cancel subscription to complete the cancellation. 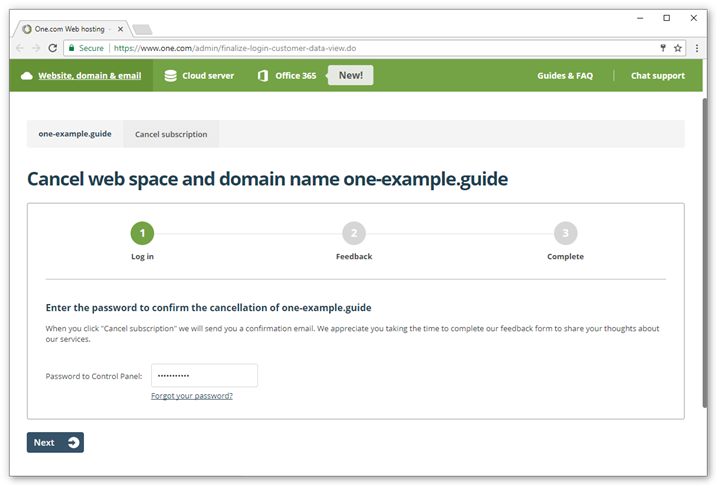 Note: If the domain is registered on a different owner, you don't need to select what to do with the domain. Instead the owner of the domain will receive an email, after the web hosting subscription has been cancelled. As soon as your cancellation is processed we will send you a confirmation via email. 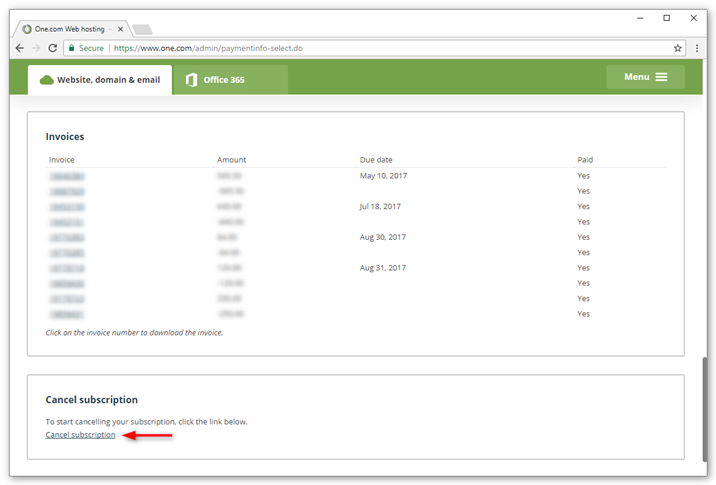 There will also be a notification in the control panel with the date that your subscription will expire.